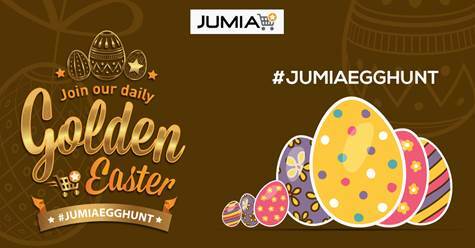 This Easter, Jumia is expected to host what it says is the biggest virtual egg hunt in Kenya’s history. The online shopping company says one egg will be hidden among different categories of products every day in the week preceding Easter. The egg will contain a voucher code that could see buyers get the hidden item at a huge discount. All Successful hunters will need to do is spot the product with the egg, add the item to cart and proceed to check out. At check-out they will need to redeem the special code that they will find on the product page of the item with the egg to get up to 85% off that item. Each code can be redeemed by a maximum of 10 different hunters. Here is a sneak peek into what successful egg hunters can find in the eggs includes: On Tuesday 24th March, there will be 10 Samsung Galaxy Star Plus going for only Ksh 3,999. On Wednesday 25th March, 10 PS3 500 GB for only Ksh 20,999, On Thursday 25th March 10 Genx Wi-Fi tab will be going for only Ksh. 1,499 while on Friday 26th March hunters will be given a chance to pay for 1 item and drop another one in your basket for free. Besides the egg hunt, Jumia says this year’s Easter sale will also feature massive discounts of up to 85% on Fashion for men, women and children and best-selling electronics. Each deal will be available for one day between Monday 23rd and Friday 27th.